46,7 x 32,4 cm - 18 3/8 x 12 3/4 in. 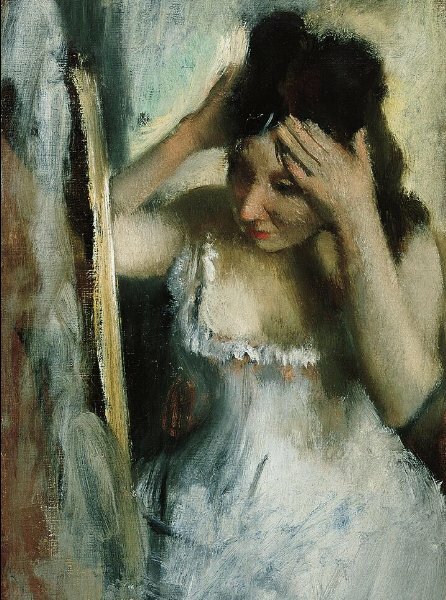 Atelier Degas - Vente Degas, 1918, I, n° 31 (repr.) - Durand-Ruel & Cie, Paris - Jacques Seligmann, Paris - Vente New York, American Art Galleries, 27 janvier 1921, n° 24 - Ambroise Vollard, Paris - Durand-Ruel & Cie, New York (Stock n° 4670) - Durand-Ruel & Cie, New York (Stock n° 13044), juin 1921 - Rosengart Gallery, Lucerne/Thannhauser, Munich, Berlin (Stock n° 1420) - Knoedler & Co., New York, (Stock n° CA 697) - Rosengart Gallery, Lucerne, juin 1937 - Justin K. Thannhauser, Paris, New York - Feilchenfeldt, Zurich, 1963 - Knoedler & Co., New York (Stock n° A 8528) - Norton Simon Museum, Pasadena, 1968. Bâle, Öffentliche Kunstsammlungen, 1931-1932, en prêt - San Francisco, California Palace of the Legion of Honor, 1964-1965, n° 168 - Fullerton (Californie), Branch Library, 1968-1969, en prêt - Los Angeles, County Museum, 1969-1972, en prêt - Princeton, Art Museum, 1972, n° 38 - San Francisco, California Palace of the Legion of Honor, 1974, n° 31. Hertz, 1924, p. 70 (repr.) - Rouart, 1937, p. 20 (repr.) - Lemoisne, 1946-1949, II, n° 436, repr. p. 239 - Lassaigne, Minervino, 1974, n° 426, repr. p. 107 - Terrasse, 1981, n° 265 - Kendall, 1987, p. 169 (repr.) - Keller, 1988, fig. 105, p. 141 - White, 1996, fig. 207a, p. 206-207 - Schacherl, 1997, p. 73 (repr.) - Steele, 2001, p. 123 (repr.) 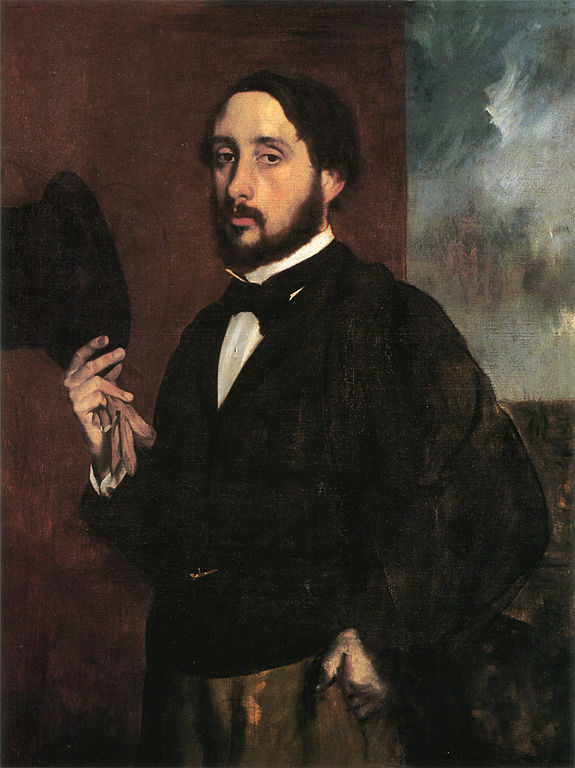 - Degas in the Norton Simon Museum, 2009, II, n° 3, repr. p. 85.